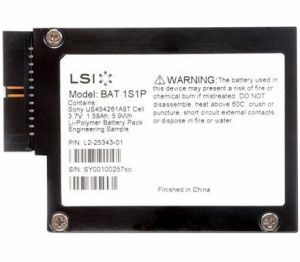 The LSIiBBU08 is used with the MegaRAID SAS 9260 and 9280 series controllers. For cards with 16 or 24 ports BBU-BRACKET-05 is also required for mounting in a card slot. The LSIiBBU08 connects remotely to the following SAS RAID controllers using the LSI00260 remote mount kit.